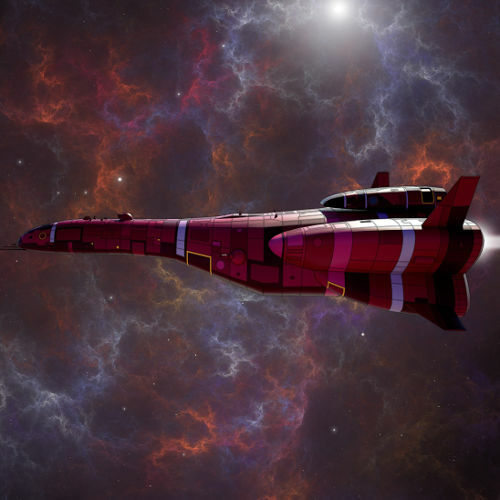 I can’t help myself, It’s a new adventure… I have just posted the final episode of The adventures of Starship Notorious. What I am currently working on. 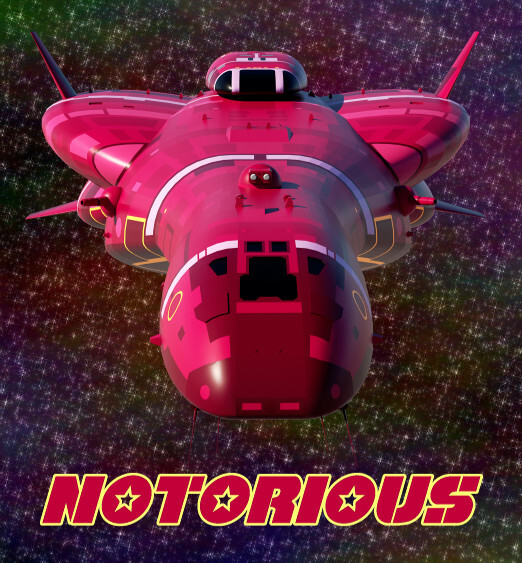 The adventures of Starship Notorious. 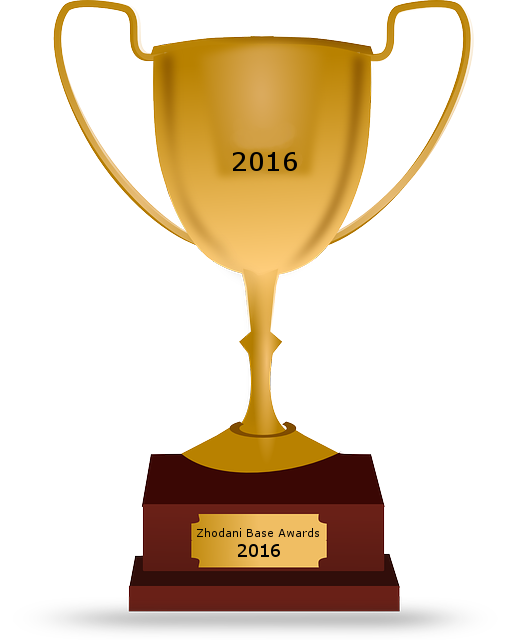 Welcome to the Zhodani Base Awards 2016! 2016 has been another good year for Traveller products. Lots of new stuff from the small publishers (and Mongoose). 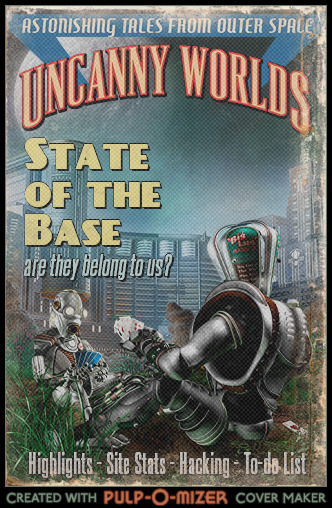 The winner of the “Best Cover” category of the Zhodani Base Awards 2016 is: Fate of the Kinunir from GDW. There were lots of Traveller products with nice covers this year. Lots of love for all nice covers. Fate of the Kinunir combined a classic Traveller cover with a nice image. I really liked that. Freelance Traveller has won this category every year since 2011! The winner of the “Best Adventure” category of the Zhodani Base Awards 2016 is: The Calixcuel Incident from Mongoose. 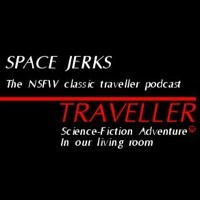 There were lots of fine Traveller Adventures for different settings published. This year Mongoose did a few really good ones. The Calixcuel Incident was in my opinion the best one. The winner of the “Best Ship or Deckplan” category of the Zhodani Base Awards 2016 is: Type S Scout/Courier from Moon Toad Publishing. There were lots of fine ships for Traveller published this year. Moon Toad Publishing made the best one for this category and won. I do love the classic Traveller ships. 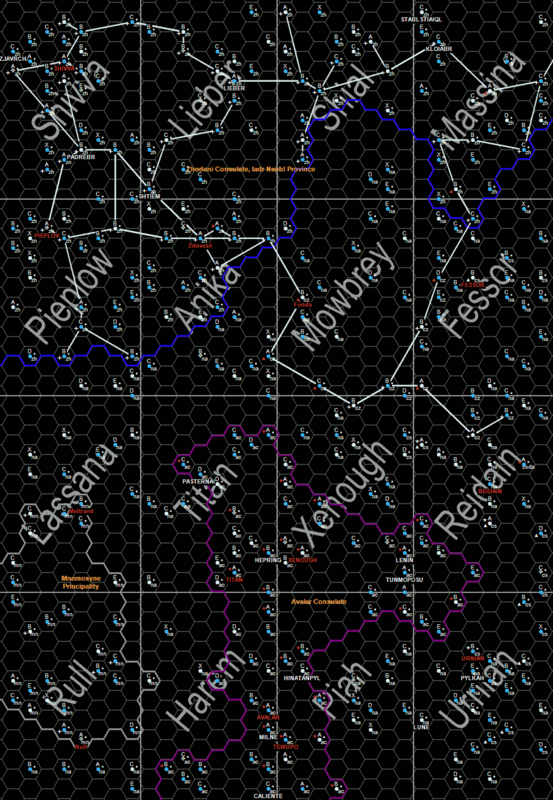 The winner of the “Best ATU Product” category of the Zhodani Base Awards 2016 is: The Space Patrol from Stellagama Publishing. Only products from Mongoose was nominated this year. I hope that will change next year. High Guard was the best one. The winner of the “Best Free or Pay What You Want Traveller Product” category of the Zhodani Base Awards 2016 is: Cepheus Engine from Samardan Press. Cepheus Engine wins because it has enabled many other small publishers to produce cool Traveller products without being limited by the restrictions from Mongoose. Read my review here. 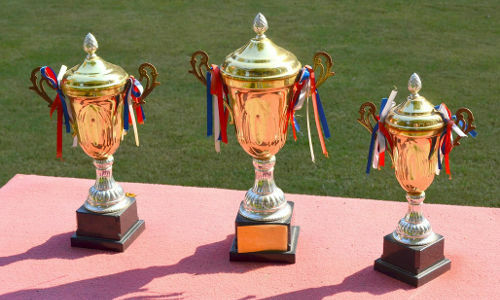 It was quite difficult to pick the winners of the 76 patrons contest this last year of the contest. There were 11 good entries to choose from. But one Patron stood out from the rest. It was written in a very inspiring way. It may have missed the brief a bit since it may seem unethical (but the PCs should believe that they are stopping a crime, so it really isn’t unethical). 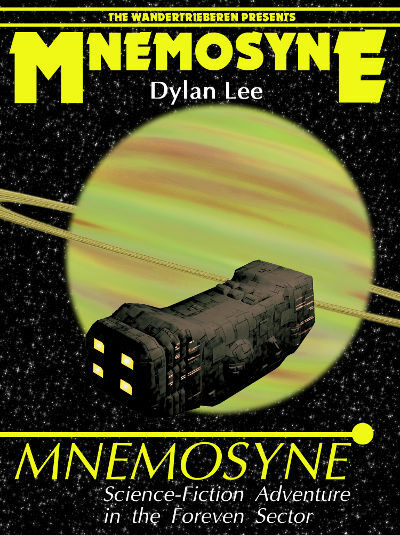 It also may seem a bit copied from the Firefly episode “The Train Job” and using ideas from “Johnny Mnemonic” but it could also be played in many different ways. Anyway, I think it was the best one! The winner is Hypercognitive by Michael Brown. Well done and Congratulations! Second place goes to Idol of the Space God by Roland Volz. It is a very fun idea that could be expanded into many related adventures using this church and/or the idols as a theme. Third place goes to Hewitt’s Hog Rides Again by KJ Potter. Recovering that mortar and the military aspect of this and/or additional adventures using this makes this an interesting Patron. Other winners are Marcus Maximus ($ 15) for being the most productive contestant. Alegis Downport for writing the Patron that attracts most SPAM comments ($ 5). Flynn for including his own name ($ 5). Ron Smith for an excellent campaign starting Patron ($ 5). Aza, for almost cheating but still writing a cool adventure ($ 5). Finally Jim Vassilakos for his very interesting Patron in the Foreven sector and for including the Zhodani in option 5 and 6 ($ 10). All winners will be contacted. 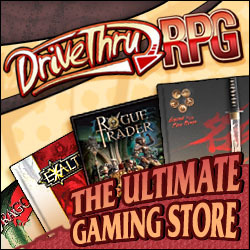 All prizes are Gift Certificates at DriveThruRPG. I want to say a big Thank You to all contestants! This was the last Zhodani Base 76 Patrons contest. Unfortunately we only have 73 Patrons now. I have to write 3 Patrons myself. I have some ideas… But if you have an idea and want to help, then please contact BeRKA. 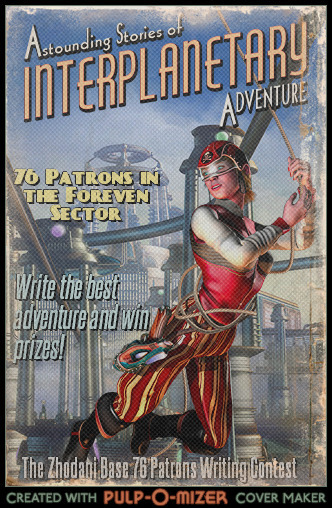 We got 10 entries for the 76 Patrons Contest. If you have sent me something and not got a reply. This is the last call to resend it! This is also the last call for any updates!